Dennis is left in the care of White Bird. What can go wrong? 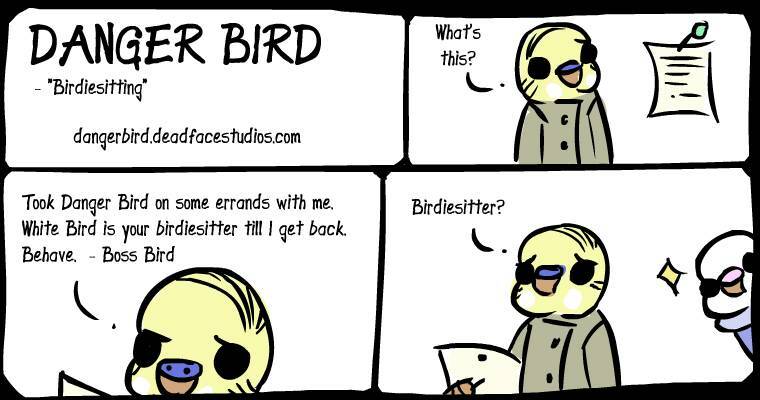 Note: "Took Danger Bird on some errands with me. White Bird is your birdiesitter till I get back. Behave. - Boss Bird"